EDA brings to you a new and unique way to examine high performance organizations and how their actions can influence your approach to leadership, teamwork, and corporate culture. This workshop explores the teams participating in the highly competitive sport of Formula 1® racing and examines how they operate at the limit of financial, technical and human potential. 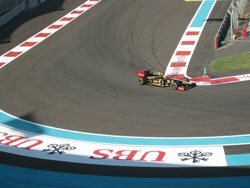 Formula 1 races have taken place in the USA for over 60 years, but after a short absence were revitalized in 2012 with the inaugural US Grand Prix at a purpose-built race circuit in Austin, Texas. In 2016 the North Carolina-based Haas F1 Team became the first American-led F1 team since 1986. This year ten teams, two cars each team, with budgets ranging from $100 million to $400 million take part in 20 races in 20 countries across 5 continents. Television viewers for the sport top half a billion making Formula 1 the most watched annual sports series in the world. This workshop is designed and facilitated by Ken Pasternak, co-author of Performance at the Limit – Business Lessons from Formula 1® Motor Racing. This highly successful book was originally published in 2005, a second edition was published in 2009 and the latest, third edition in 2016. 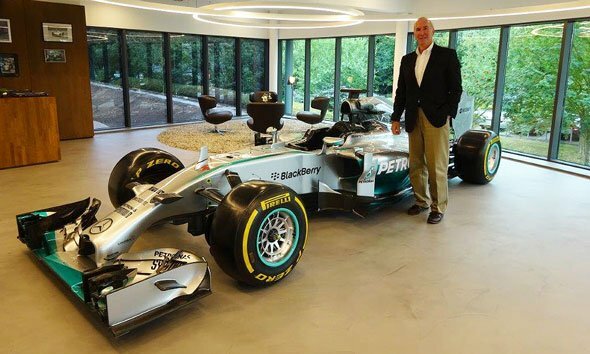 The book also inspired an eight-part BBC series in 2007 called, “Formula for Success.” In addition to Ken, workshops can also be co-facilitated by Brett Lunger, Former F1 Driver, businessman and author. This is an interactive program using case studies, exercises, videos and lively discussions. It introduces participants to the key concepts and essential skills needed to succeed in the fast-paced business of Formula 1 and how they are relevant and transferable to their own industries and organizations. The workshop is delivered in 1-day or 2-day versions and can be tailored to meet the executive development needs of any organization. Finding ways to create and sustain exceptional levels of performance is a challenge that business leaders face in every organization. One way this can be addressed is by learning from other industries, in particular ones which distill the essence of how to surpass the competition through consistent, outstanding performance. 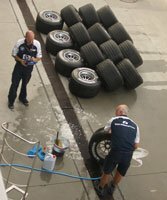 The business behind the sport of Formula 1 motor racing provides an excellent example. While state-of-the-art technology is on display at every race, it is the organization and people behind it who design, develop, and perform each and every day that makes the difference between a podium finish and being at the back of the racing grid. This se minar is about how racing teams operate in order to achieve success. Executives across all industries, entrepreneurs striving to grow their businesses, and anyone who is working in a competitive and rapidly changing business environment will gain insights that can be directly applicable in their own workplace. 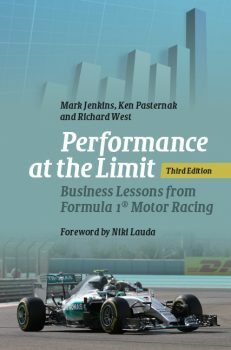 Read what the New York Times Book Review has to say about Performance at the Limit, Business Lessons from Formula 1® Motor Racing (3rd edition).